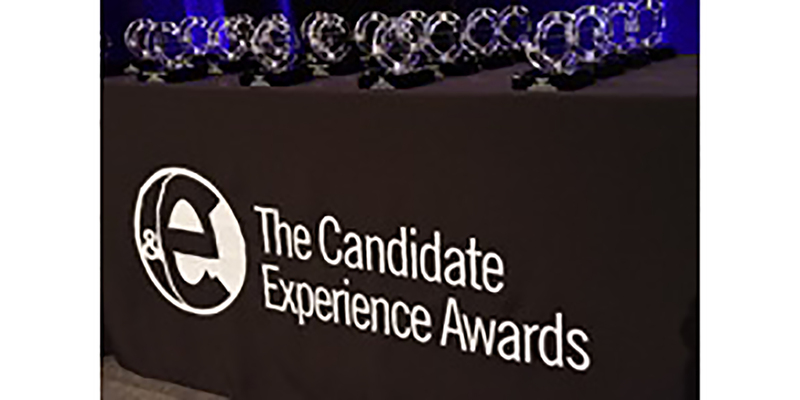 Marriott International, the world’s leading hospitality company and one of the largest companies for job seekers and career growth potential, was recently recognized as one of the best large company employers in Talent Board’s Candidate Experience Awards. Talent Board, the first non-profit organization to be focused on the elevation and promotion of a quality candidate experience with data benchmark research, evaluated all touchpoints between job seekers and organizations along the recruiting journey, allowing organizations to compete against each other and benefit from detailed survey feedback. Out of 65 winners, Marriott International was listed highest among hospitality companies. Candidates ranked Marriott’s application and interview process – and communication with them throughout the process – as best in class. Other participants in the research included American Airlines, AT&T and Intel. With input from large-scale surveys of employers and candidates at all stages – including those who were hired, rejected or withdrew – Marriott nearly doubled its 2017 score in creating the most positive candidate experience. Marriott has also been on the cutting-edge of enhancing the job search and apply experience with the launch of the Marriott Careers chatbot which radically transformed the experience when it was launched on Facebook Messenger last year. The chatbot is now available on the Marriott Careers and Jobs websites, offering more optimized job search technology and the ability to engage job seekers in a wider range of conversations, such as exploring Marriott’s culture and associate benefits. Marriott has consistently been recognized for TakeCare and its culture of putting people first. The company was recently recognized as a LEGEND by Great Place to Work® after 20 consecutive years as a FORTUNE 100 Best Company to Work For®. Other awards include recognition by DiversityInc as one of the top 10 companies for diversity and inclusion, and by Fortune as one of the Top 10 Best Workplaces for Women and Top 100 Best Places to Work for Millennials. Marriott International is proud to be the employer of choice in the global hospitality industry. The average tenure for a hotel general manager at Marriott is 25 years while more than 10,000 people have been with Marriott for more than 20 years. To view more than 15,000 job opportunities available around the world, please visit our website at www.marriott.com/careers. In addition, connect with Marriott Careers on Facebook, Twitter, LinkedIn, Instagram and YouTube. Marriott International, Inc. (NASDAQ: MAR) is based in Bethesda, Maryland, USA, and encompasses a portfolio of more than 6,700 properties in 30 leading hotel brands spanning 129 countries and territories. Marriott operates and franchises hotels and licenses vacation ownership resorts all around the world. The company also operates award-winning loyalty programs: Marriott Rewards®, which includes The Ritz-Carlton Rewards®, and Starwood Preferred Guest®. For more information, please visit our website at www.marriott.com, and for the latest company news, visit www.marriottnewscenter.com. In addition, connect with us on LinkedIn, Facebook and @MarriottIntl on Twitter and Instagram.